Do you drink tap water? Think twice. This Los Angeles reservoir contained chemicals that sunlight converted to compounds associated with cancer. 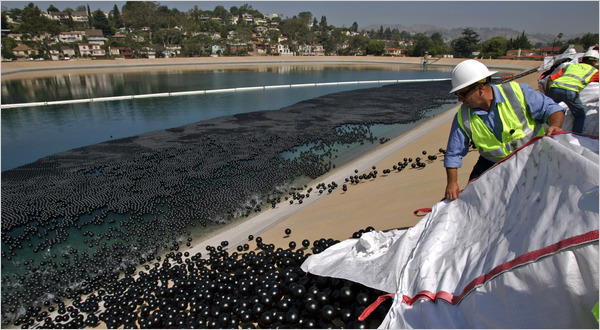 The city used plastic balls to block the sun, but nearby homeowners asked why, if the water didn’t violate the law. Always too much to spend your money on. NY Times: How Green Is My Bottle? Buying one might make you feel like you’re part of a super hip and ethical club. It might make you feel like you’re not rubbing your lymph nodes against pvc. Before you go out and buy one, consider what you will do with your old mat. 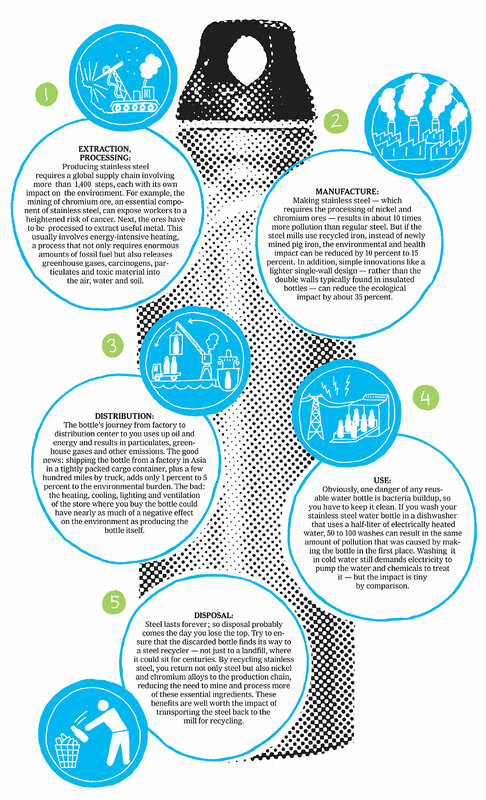 The most eco-friendly choice? Buy sustainable the first time. Reduce. Recycle. Reuse. PrAna Revolution Mat: the Smell! prAna Revolution Mat: The Size! In her latest youtube video, Sadie Nardini (just opened the Fierce Club in Manhattan) endorses Jade Yoga’s eco-friendly Harmony mat. Did Sadie get a free mat out of it? Maybe. Does she secretly want to grace the back cover of Yoga Journal while touting a mat on a busy Manhattan sidewalk? Perhaps. Whatever. Anyone who makes sustainable hip is fierce, especially if their hair is inhumanly red. Images of hemp and cork and ergonomic clogs.